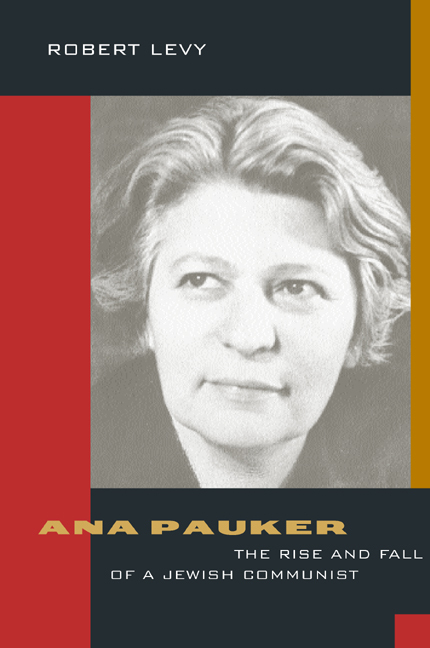 In her own day, Ana Pauker was named "The Most Powerful Woman in the World" by Time magazine. Today, when she is remembered at all, she is thought of as the puppet of Soviet communism in Romania, blindly enforcing the most brutal and repressive Stalinist regime. Robert Levy's new biography changes the picture dramatically, revealing a woman of remarkable strength, dominated by conflict and contradiction far more than by dogmatism. Telling the story of Pauker's youth in an increasingly anti-Semitic environment, her commitment to a revolutionary career, and her rise in the Romanian Communist movement, Levy makes no attempt to whitewash Pauker's life and actions, but rather explores every contour of the complicated persona he found expressed in masses of newly accessible archival documents. Robert Levy completed a Ph.D. in history at the University of California, Los Angeles, in 1998.